Mr Gao tells me, “Just because something is not illegal in China, doesn’t make it legal.” He takes a slight pause, a short breath, before leaning emphasis on the final word. Mr Gao is a bitcoin miner, with a few thousand mining rigs of his own, and facilities that he leases out to others. At present he has the capacity for 110,000 new machines, in sites spread throughout China’s sprawling western provinces, Sichuan and Yunnan, and also in the north, in Xinjiang and Mongolia. In other words, despite the precipitous fall in bitcoin’s price over the last 18 months, Mr Gao has been planning to expand. 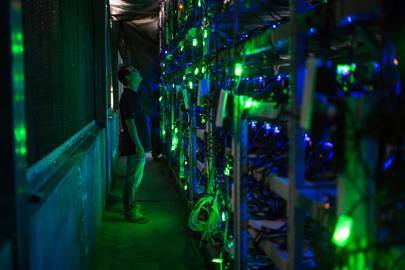 China has 70 per cent of the world’s crypto-mining capacity, and over 70 per cent of that capacity is nestled in the mountains of Sichuan, where abundant hydroelectric power makes the price per kilowatt some of the cheapest anywhere in the world. But the very existence of this crypto gold rush is under threat. Mining bosses in China are making their millions in a legal grey area – and a new directive issued last week by the The National Development and Reform Commission (NDRC) hints that cryptocurrency mining may soon be outlawed altogether. For those at the top of China’s crypto economy – including the mining moguls I spoke to – this is a clarion call to mine as much money as they can before it is too late. Miners secure the network for a cryptocurrency, maintaining its infrastructure – its blockchain – by solving a series of complex computational problems necessary to string together transactions in clusters, or “blocks”, which constitute the “chain”. This is what makes cryptocurrencies comparatively decentralised and also theoretically impossible to hack. For their algorithmic chiseling, miners are rewarded with cryptocurrency coins. In order to keep the rate of coins entering the market steady, the mining process has been designed to grow more difficult and electricity-consuming as the overall computational capacity devoted to mining increases. Therefore, already a few years after Bitcoin’s launch in 2009, mining operations started moving out of bedrooms and desktop computers running small processing units, to giant warehouse facilities with tens of thousands of machines, elaborate cooling units to stop them overheating, teams of engineers working around the clock to make sure none of the mining rigs go offline, and management teams working on logistics and smoothing the relationships with local power suppliers. The tumultuous price of bitcoin – which hit $20,000 in December of 2017 before plummeting to $3,399 in February 2019 and since then stabilising around $4,000-$5,000 – doesn’t overly affect miners’ business; as long as the price per-bitcoin doesn’t fall beneath their costs, and they believe that the general trend is for bitcoin to increase in value in the long run (and not drop to zero as some speculate), their income remains steady. 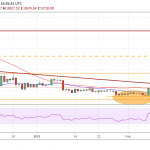 Globally, according to research by JPMorgan Chase, “the production-weighted cash cost to create one bitcoin averaged around $4,060 globally in the fourth quarter” of 2018, meaning that as bitcoin’s price hovered around the $4,000 mark in recent months it looked as if bitcoin might fall to a point where it became financially unfeasible to continue to mine for it. Except, that is, in China, where the abundance of cheap power enables miners to keep the cost-per-coin at roughly $2,400. “The reason that there is so much mining here in China is simple,” Jingyang Zhang, one of China’s first investors in bitcoin, told me. “You have easy access to machines, you have cheap labour to maintain them and build the mining facilities, and crucially you have excess power here, which needs to be sold off for something, so it might as well be used for mining.” While people who trade bitcoins spend their days glued to the screens of their devices, checking cryptocurrency prices on various exchanges, miners are more interested in the price per kilowatt of electricity, and where they can find a stable and continuous supply that won’t be cut off by the local government. “Mining is what made me believe in bitcoin,” says Mr Gao, leaning back in his chair in the antiseptic air-space of the VIP section of a glistening mall in Chengdu, Sichuan’s provincial capital. “Once you see the costs; the machines, the cooling facilities, all the labour…you realise that bitcoin isn’t an intangible thing. It must have some kind of inherent value – otherwise what is all of this for?” he says, waving his phone in the air with a picture of the mine he was just showing me: a giant series of warehouses nestled between some mountains in Sichuan. 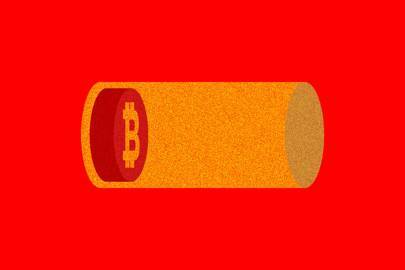 Even before last week’s bombshell, the legal status of bitcoin in China was murky. In 2016 and 2017 there was intense speculation in bitcoin and associated cryptocurrencies, an explosion in initial coin offerings (ICOs) and new exchanges created. Many of these were fraudulent, including, it turned out, the very first ICO in China, in 2012. In that instance, a shadowy figure who called himself “grilled cat” online launched “butterfly mining rigs”, his own proprietary mining hardware, before disappearing without a trace with everyone’s money when he realised his machines weren’t able to compete in a rapidly evolving market. The Chinese government, fretting about the rate of crypto-induced bankruptcies, quickly stepped in and initiated sweeping reforms. These banned ICOs and forced exchanges offline by making it illegal for legal tender (i.e. yuan) to be converted to cryptocurrencies or vice versa, thus rendering exchanges essentially useless. Most shuttered their operations; a few moved off the mainland, though they are still subject to Chinese law if they are caught taking money from Chinese citizens. These citizens would have to use a VPN, which is itself illegal, to access such exchanges. These regulatory changes have seen the rate of bitcoin traded in Chinese yuan go from 90 per cent of the global total in 2017, to just one per cent today, according to statistics from the US library of Congress. Curiously it isn’t illegal to own bitcoin or trade it in China. However, you cannot use Chinese yuan to buy bitcoin, or exchange bitcoin for yuan. Considering the already very limited uptake in the practical uses for cryptocurrency, that means that bitcoin in China can only ever be used as a store for value – an ethereal value stored only in its crypto form. There is, however, a not insignificant volume of over-the-counter (OTC) trades which do not go through an exchange, happening via payment apps WeChat and Alipay, where users send money to someone who then sends them the corresponding amount of the desired cryptocurrency. But this requires significant trust from both parties and is an invitation to commit a fraud with no viable legal recourse. From a regulation standpoint, cryptocurrencies present a headache for a government that places extremely strict controls on its citizens’ ability to move money out of the country. “Money in China is like a lobster trap,” says Dr. G.M. Bell, a researcher based in Shanghai who has studied how wealthy Chinese move their money. “It’s easy to get money into the country, but very difficult to get it out again – that’s how the government wants it.” Decentralised cryptocurrencies pose an existential threat to the government’s control over its citizens purse strings, which is why Beijing has come down hard on exchanges. However, seeing that Bitcoin and, more importantly, the underlying blockchain may have potential for the future, the government is wary to ban it outright. The ICO law hedges by stating that “blockchain technology must service the real economy”. With exchanges and ICOs already shuttered completely, and no legal way to convert cryptocurrencies into Chinese yuan, mining is the last remaining pillar propping up this intangible edifice. Were the government committed to destroying crypto in China for good, or at least for all but the extremely dedicated and willing to risk legal sanction, ban mining is all they would need to do. The NDRC’s new directive, issued on April 9, suggests this is a growing possibility. The document hints that mining itself might be outlawed altogether as part of a package of 450 different economic activities deemed suspect for “wasting resources, polluting the environment, being unsafe, or not adhering to law”. The miners I spoke to hardly seemed surprised at the news and didn’t seem overly deterred either. One noted that it is still in the public consultation phase, until May 7, and that even if it does pass into law, the process might not be immediate and the inspections would be fairly lax at first. Another had already been exploring options overseas and this merely pushed him to redouble his efforts. Until now, mining has served a purpose unique to China: crypto-mining was seen in some circles as being an efficient way of mopping up some of the excess power generated and wasted in areas of the country where supply far outstrips demand. From the US, to Canada, to Europe and China, critics have often argued that crypto is an environmental disaster, offering statistics such the one showing that, in 2017, bitcoin mining worldwide used as much power as the nation of Denmark. This is true, but it is also true that in 2016 the province of Yunnan, in China’s Southwest, wasted 32 billion kWH of power – roughly equivalent to the power consumption in Denmark for that year. China’s uneven development and breathless growth has led to the construction of power plants that pump out electricity no-one needs anymore, as the economy has slowed and turned away from intensive construction towards domestic consumption and a digital-payment driven service sector. This is especially true in areas such as Inner Mongolia and Xinjiang, where coal-burning power plants spew toxic fumes over arid deserts, and in Sichuan and Yunnan where hydroelectricity dominates, and dams have flooded countless villages and displaced millions of people. 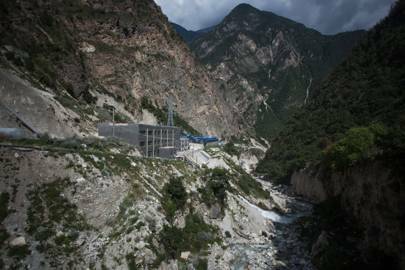 Sichuan has over6,600 dams and the provincial government had to actively ban the construction of more small-scale dams constructed specifically for bitcoin mining. In Inner Mongolia, coal power drove economic growth until 2012, when the coal price dropped like a stone, and was further knocked when the national government instituted stricter environmental controls. In 2014, Beijing was choked with thick black smog and schools and airports across the North East were forced to close for days on end. The Chinese government’s resulting attempt to wean the country off coal has seen areas of Inner Mongolia economically decimated, with entire cities that had been constructed in anticipation of continued growth left largely empty. Crypto seemed poised to breathe life back into these areas. Ordos, Inner Mongolia’s provincial capital – which includes the infamous ghost city Kangbashi within its administrative purview – offered bitcoin miners preferential rates for power. 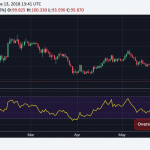 Bitmain, the mining equipment provider valued at over $10 billion, was offered prices as low as $0.04 per Kilowatt hour. This rate was 30 per cent lower than that typically paid by firms in the area. Just 200km away from Bitmain’s main facility, in the outskirts of Ordos, lay Haerwusu, China’s largest open-pit mine. Bitcoin mining, it was hoped, would dig riches once again. But it wasn’t to be. According to the US Library of Congress, “in January 2018, China’s Leading Group of Internet Financial Risks Remediation reportedly requested that local governments remove existing, preferential policies for bitcoin mining companies.” Compliance with this request seems to have been patchy, and a few of the miners I spoke to suggested that double-dealing is still common. However, inspections by provincial governments have increased, particularly in Inner Mongolia and Xinjiang, where mining rigs have been seized and operations closed down. Regardless, the impact of bitcoin mining was marginal on the local economy compared with large-scale traditional pit mining. Beyond the initial construction of the facility, a crypto-mine requires a handful of technicians to maintain the machines; a mind-numbing drudge which is in essence a ceaseless whack-a-mole of replacing blown processors. The machines emit a green light when functioning and turn red when they fail. The skeleton crews in these facilities spend their days playing online games and watching live-streams, rotating those on duty who search for scattered red lights among a neon-green sea. 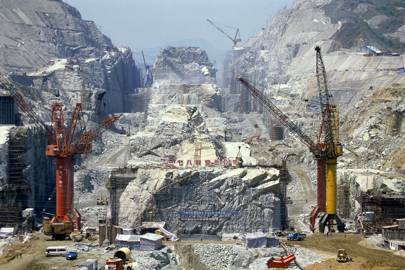 Worse, because of the price differential between coal and hydroelectric power, in April or May most of the mines move to Sichuan or Yunnan in preparation for the spring rains, which make hydro-power so abundant it drops in price to a few mao – a fraction of a Chinese yuan. In local media this process is likened to migrating birds, the flight of thousands upon thousands of mining rigs seeking greener pastures. Mr Gao is also in the process of moving his facilities closer to home, bringing his machines down from Xinjiang to a large facility he had built in the mountains in Sichuan. During our conversation, he periodically stands up and walks off to stand by the floor-to-ceiling glass windows of the mall, to discuss some logistic issues on the phone; occasionally I can make out the words for “trucks” and “mountains”. There are broadly three types of people mining bitcoin in China. 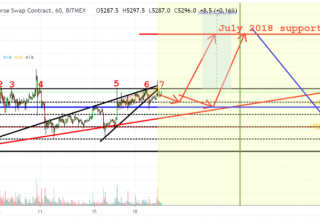 Those who are following the trend and hoping to make a substantial return; those who are in it by chance because they have privileged access to cheap power (either their own, or through connections); and those who actually believe in it. There is a phrase in Chinese, “to cut chives”, which is often associated with those who blindly entered the industry in pursuit of riches – chives grow fast, and once one set has been harvested, another soon shoots up in its place to be cut back. Fundamentals on the volume of trades in crypto are notoriously suspect – Chainalysis, a firm which researches Bitcoin’s blockchain, argues that bitcoin accounted for around $812 billion of genuine transfers of value, which is a significant lowballing of the $3.3 trillion in trades that Satoshi Capital Researchlauded in January of 2018 as being six times the volume handled by Paypal. Wash trades, where people involved in a certain cryptocurrency trade among themselves to create the impression of volume and interest, are rife, and substantively no different from pump-and-dump schemes illegal in regulated non-crypto markets. The paucity of credible knowledge and the incredible power that influential figures have to move markets make investing in crypto notoriously difficult. According to research by Credit Suisse, 97 per cent of all bitcoins are owned by only four per cent of participants in the market – giving this tiny minority enormous financial clout. In 2017 Zhenfund’s manager, Bob Xu, one of China’s most famous angel investors, spoke at a closed meeting – asking specifically that no-one present divulge his statements – and lauded the blockchain as a revolution so fundamental that anyone who rebelled against it would surely die. Naturally, his statements were leaked, and the next day publicly traded stocks in China associated with blockchain jumped 5.7 per cent. Even today, with exchanges shuttered and ICOs banned, there are still thousands of bitcoin and crypto-groups on WeChat, all with their membership full (WeChat caps groups at 500) sending out information of new coins and OTC options and the best VPNs or most exciting mining operations. It is virtually impossible to verify any of the information shot rapid-fire across these groups. Another group called xiaomiquan (literally, little secret group) allowed influencers with privileged access to information to monetise their knowledge by charging crypto or actual cash for entrance to the group. This would be illegal insider trading in any other market. It was disbanded after falling foul of Chinese regulators, but has rebranded under the name knowledge planet and continues to do basically the same thing. And so, the chives get cut. A lot of miners who entered in 2017 were especially damaged by the fall in bitcoin’s value. They bought when machines were expensive – the boss of Ugly Brother Mines told me that he had bought a lot of D9 mining machines for 40,000 yuan during the boom, only to watch them fall with the price of bitcoin. He sold them off at the bottom for a few hundred yuan, scaling his operation back from 30,000 mining rigs down to less than 7,000. The costs of mining are high, and it takes a while for the mines to get up and running – so miners who aim to enter the market at a particular price point can often find themselves wrongfooted when the market bucks. Globally, 600,000 miners shut down during the slump, according to Coinbase. Most of those would have been in China. China has seen two huge waves of prosperity in the past two decades as economic reforms have deepened. The first was real estate, and the second was the stock market boom – which crashed in 2015 just as Bitcoin was gaining global attention. For the aspirational who failed to surf the first two waves, the imminent swell of crypto was too enticing to give up. Moreover, stories of normal people making vast riches – epitomised by Alibaba founder Jack Ma, who rose from being an English teacher to China’s richest man in the space of two decades – are so common and lauded by the government as examples of what is possible when you work hard (and love the party), that it creates a normative environment where people believe anything is possible. If them, why not me? If an illiterate peasant from Guizhou can make a billion-dollar global sauce empire, then is it really that preposterous to invest in a digital token that is dug out of the ether by maths? My friend Xiaomi Gezi (small rice pidgeon, his online nickname) who I met at a crypto-Monday meetup in Chengdu, helped me meet some of the miners I interviewed for this story. On the way to one such meeting I asked if he’d ever invested in bitcoin. “I lost ten years’ wages,” he told me with quiet resignation. Later, when I asked if he wanted to share a taxi home, he told me he’d relocated far beyond the final ring-road in Chengdu, to a dormitory suburb two hours away by train and bus that was technically in another city. 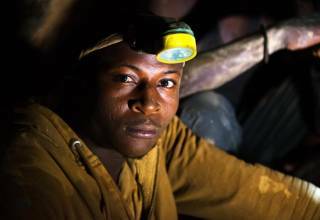 The miners remaining in the industry, those with access to a power source or an inherent belief in the market, though, are holding steady and praying that the NDRC directive doesn’t imminently shutter their business. They are heavily invested now, with physical mines and complex operations, so all they can do now is wait – but, they noted, they’ve weathered similar storms in the past and navigated complex and overlapping local regulatory frameworks; this was just the latest in a long line of hurdles on the road to riches. 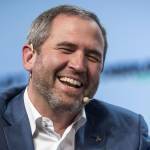 Before the NDRC announcement, most of the miners I spoke to argued that what had happened in the market after bitcoin’s crash last year was akin to the dot-com bubble bursting in the early noughties – they believed it had wiped out all the casual investors and that what remained was the serious players who would help the industry professionalise and mature. In this there was a slight irony. The dotcom bubble burst and took with it a tech-utopian ideal that the internet could be a decentralised, global space. In its wake have risen vast tech monopolies with government-defying power and a series of tools perfectly suited for authoritarian regimes to manage their populations. The internet looks to be balkanising, and China has sequestered itself behind a fiber-optic curtain. In just the same way, the recent chive-cutting of bitcoin miners left only the kind of serious players who, like Mr Gao, could build mining rigs with the capacity for tens of thousands of machines. Maybe if China does ban mining outright then the market might decentralise again, but this seems unlikely. Large-scale Chinese miners have already been looking abroad in anticipation of regulatory changes. Bitmain, whose machines have been described by the Financial Times as being to crypto what shovels were to the gold rush, last month announced plans to deploy 200,000 of its own machines in facilities across Sichuan this summer to make the most of the rainy season and the subsequent flood of cheap hydro-power. At the time, when I spoke to an investor who has a large stake in the company, he noted casually that he was helping them to broker deals in the Middle East. No doubt if the NDRC does decide to rid China of crypto-mining, then the miners will just go elsewhere. When I ask what he is planning to do with the NDRC regulations Mr Gao speaks abstractly about his plans to move his operations abroad – probably to America, where he feels the regulatory environment is more stable – but he still thinks he has some time before the regulations will kick in. When I ask what he’ll do until then, he says it is not a convenient time to discuss that. When I ask where he thinks the coin price will be next year he demurs. He has more pressing matters; moving his machines, negotiating with the local government to make sure he doesn’t get shut down, and finding a place with stable electricity and preferential rates. Bitcoin, in his eyes, is subject to the same petty local politics as anything else in China.